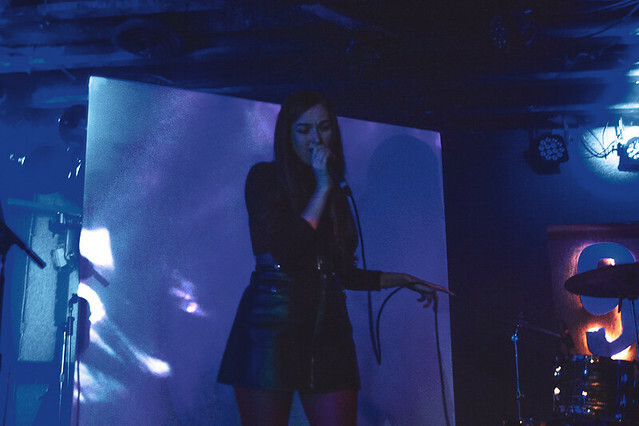 Posted on 12/06/2018 by Brenda Reyes	in Live Review and tagged Cults, DC9, indie rock, New York City, synthpop. 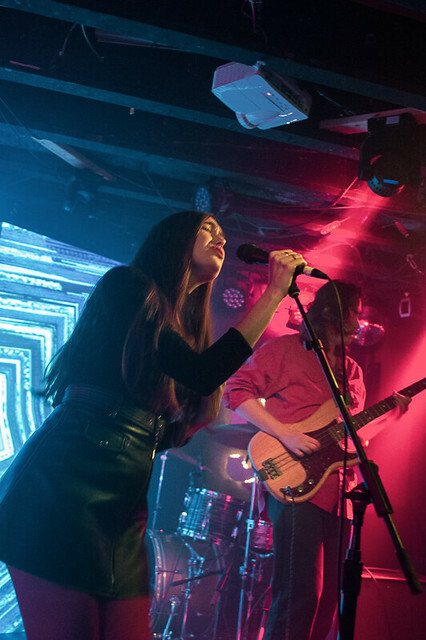 New York duo Cults, consisting of Brian Oblivion and Madeline Follin, played at DC9 for two nights — and with both nights selling out, the performance made for a packed, exciting show. 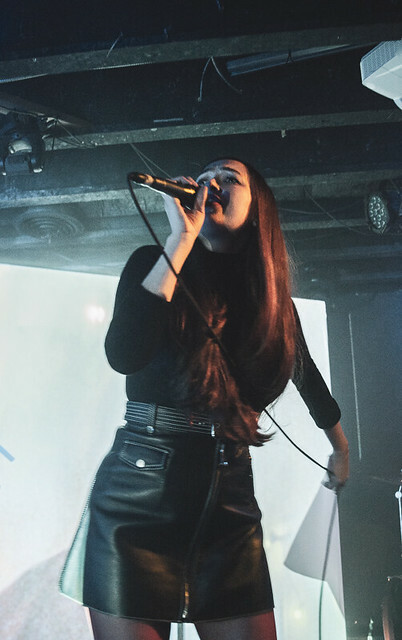 Cults released their latest album, Offering, late last year but last month they also released some B-side tracks and remixes of Offering. 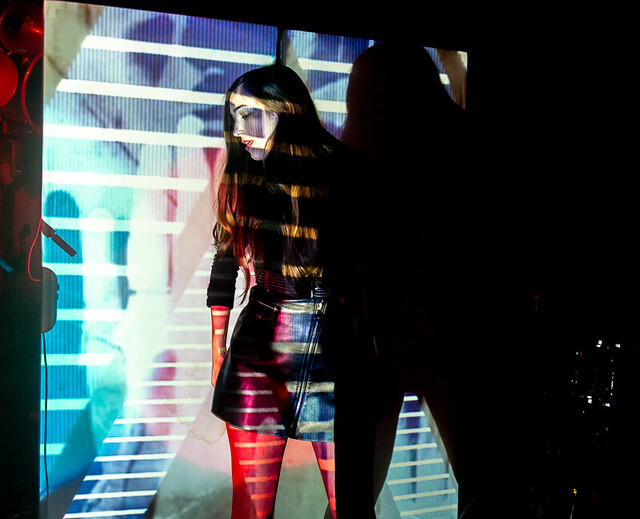 So, it was a special tour for Cults fans, because not many bands play the B-sides of their tracks live. 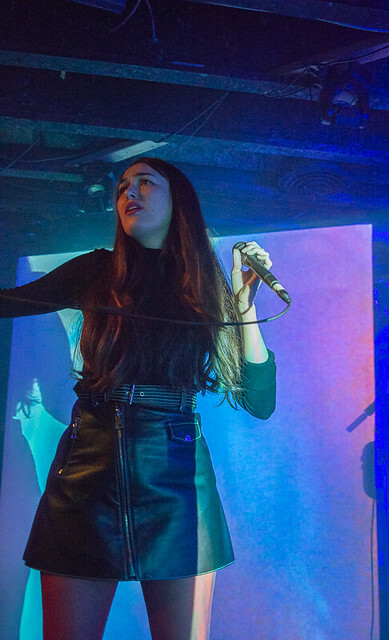 On Saturday, Cults presented a great mix of their self-titled debut album and Static (their sophomore album) on their setlist. 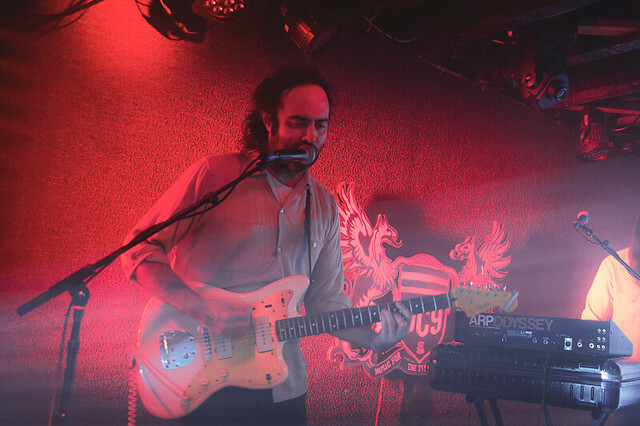 The band definitely has a certain style that incorporates indie-pop and doo-wop feels together. Madeline had such a high soprano range, and the drums and guitar provide bass in the background to give it that doo-wop feel. 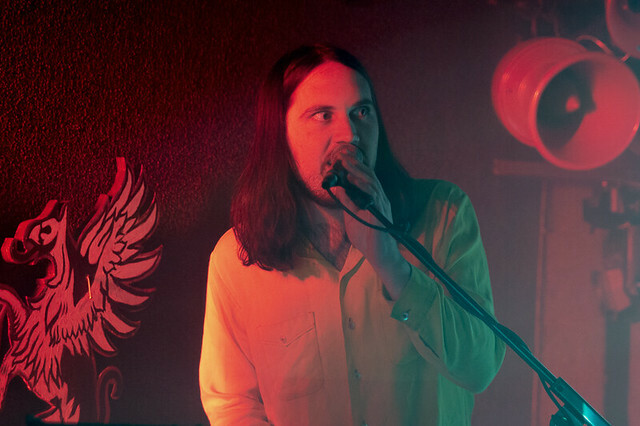 With “I Took Your Picture” and “Right Words,” Cults mixed a synthpop sound that is reminiscent to Tame Impala. Their B-side tracks are a little bit moody more moody than the rest of the album. Songs like “Hope You Found What You’re Missing” and “Not Possible” change the whole mood of the album but they are gems in their way. 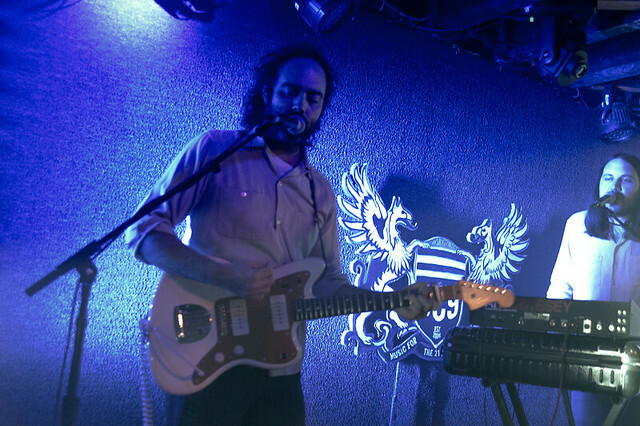 Later, Cults performed a cover of “Celia” by The Motels, and the selection made Brian really happy. 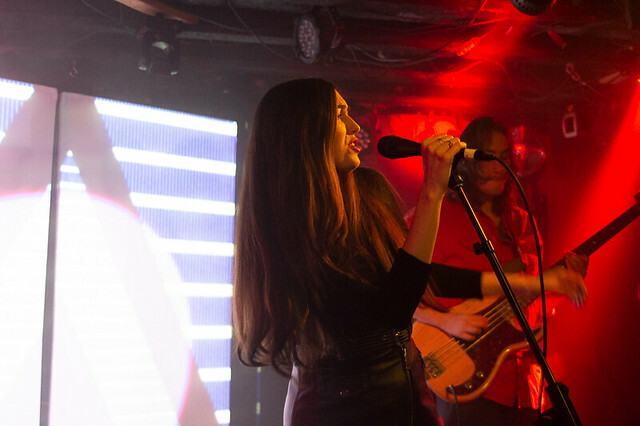 The band ended the night with “You Know What I Mean” and “Go Outside.” You can see the Cults this weekend in Brooklyn on Dec. 8 and see them their west coast leg of the tour through Dec. 23, when they wrap in Los Angeles. 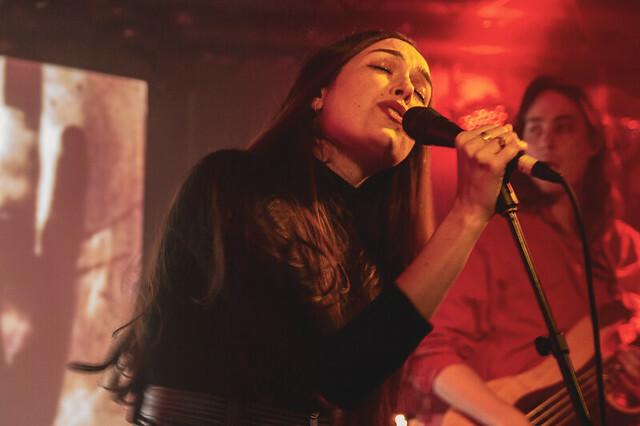 Here are photos of the Cults performing at the DC9 on Dec. 1, 2018. All photos copyright and courtesy of Brenda Reyes.